Which comes first? Comparing or Complaining? Lately, I’ve realized (again) just how deadly comparisons can be. I realized the majority (all?) of the complaining I do comes because I compare. I compare how other people in my life treat me with how I think I deserve to be treated. verb – The act of complaining because we have compared and fallen short. 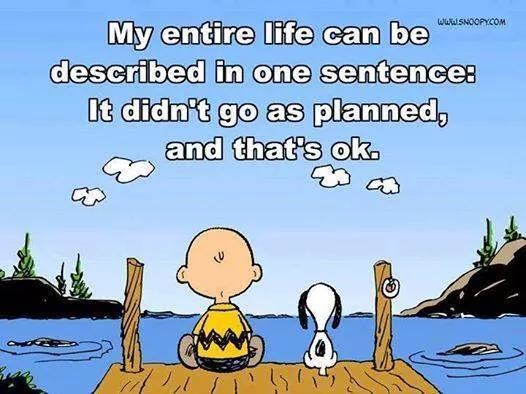 How many of us can say: “My life did not go as I planned“? As I’ve said in previous posts, COMPARISON is a thief of joy. I have perfected the art of COMPLAIRING. i sometimes think I have a master’s degree in it. This entry was posted in ADDICTION, GRACE, GRATITUDE, PEACE, PROCESS, SERENITY on December 23, 2014 by jimdcat.